We produce for Italy and abroad halloween moulds. 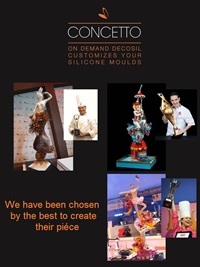 Italian leaders of silicone moulds, we create and sell for over 10 years halloween moulds, food safe silicone moulds worldwide to confectioners, bakeries and Delicatessens. Do you want to make a funny and sweet gift for Halloween? Here's lots of Halloween chocolate characters! These subjects can be gifted as Halloween candy or used as decorations on cakes for Halloween. Halloween silicone moulds for decorating cake, for fondant and sugar paste. Halloween silicone moulds for creating theme pralines.